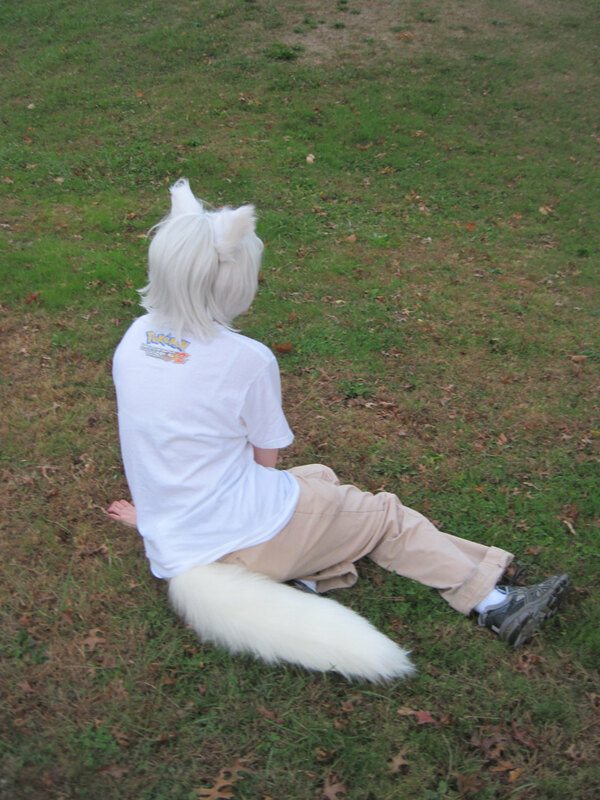 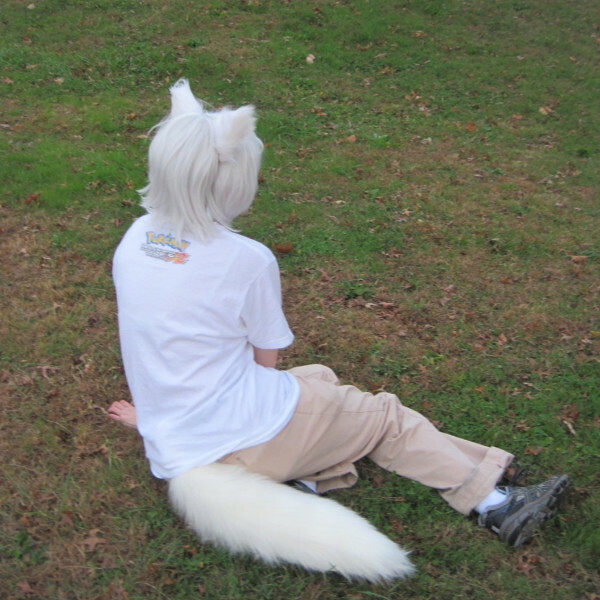 Your choice of ears – the ones in this picture are a pure white on white type, but I can make white on grey, white with grey tips, white with pink, or any other color you’d like to compliment this tail. 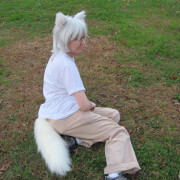 Tail has a hidden belt loop for immediate wearing. 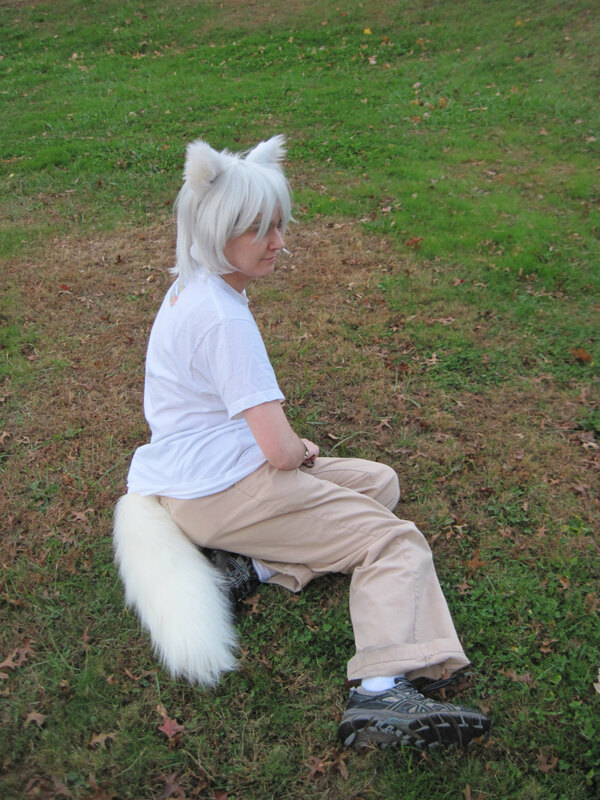 Tail is 2′ long (24 inches) from top to the tip of the fur at the bottom, and made of a fluffier longer fur. 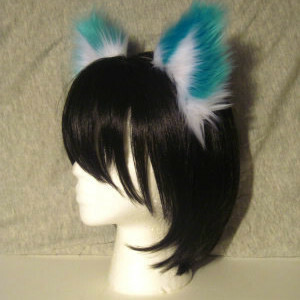 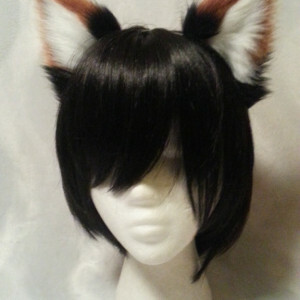 The ears that are available for immediate shipping are the pure white on white ones shown. 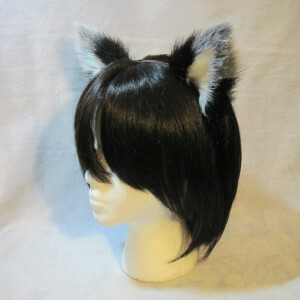 if you would like different ones to go with the tail I’d have to make up a pair new.